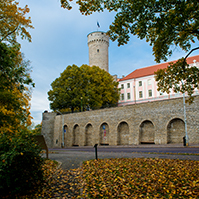 Today, the Riigikogu passed the Act on Amendments to the 2014−2020 Structural Assistance Act (79 SE), initiated by the Government, which amends the Structural Assistance Act of the period by adding the regulation relating to the implementation of the Cross-border Cooperation Programme of the European Neighbourhood Instrument. 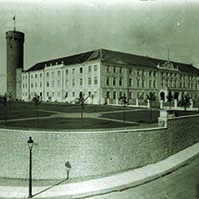 67 members of the Riigikogu voted in favour of the Act and there were two abstentions. The Act is connected with implementation of European law. It provides for the procedure for the appointment of competent authorities arising from the Implementing Regulation of the European Neighbourhood Instrument, the specifications of financing agreement, and the provisions delegating authority to establish the Regulations on eligibility of expenditure and making financial corrections. The European Neighbourhood Instrument concerns cross-border cooperation at the external borders of the European Union, covering cooperation with other EU countries and the neighbouring countries of the EU. 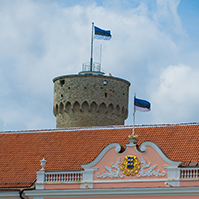 Estonia participates in Estonia-Russia cross-border cooperation programme in which beneficiaries are agreed upon in the Estonia-Russia cross-border cooperation programme. When preparing the programme, the Republic of Estonia and the Russian Federation agreed on five large-scale projects. These projects are the following: reconstruction of Narva-Ivangorod promenades and fortresses, a project for the development of the Lake Peipus region which includes a plan for further development of a network of small ports in Estonia and installation of waste water treatment facilities in Pskov Oblast, reconstruction of Saatse-Krupa road section, and reconstruction of Koidula and Luhamaa border crossing points. The final financing of the projects will depend on the final budget of the programme. The period of the implementation of the projects will begin in 2017 at the earliest. The Riigikogu passed with 73 votes in favour the Act on Amendments to the Persons Repressed by Occupying Powers Act and the Public Transport Act (61 SE), initiated by the Government. It establishes, as of 2016, the benefit for repressed persons, replacing the benefit for restoration of health and the fare concession. The amount of the benefit is 192 euro and submission of expense receipts will not be required for application for the benefit. 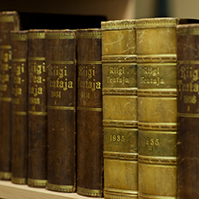 The agenda of the Riigikogu included readings of a total of 13 Bills. In addition to two Acts that were passed, the Riigikogu concluded the second reading of five Bills. The Bill on Amendments to the Act on Narcotic Drugs and Psychotropic Substances and Precursors thereof (64 SE), initiated by the Government. The Bill specifies the Act according to the amendments that have taken place in European Union law under which operators will have to register with the Agency of Medicines if they wish to begin to acquire precursors of narcotic drugs and psychotropic substances. Also, it will be possible for state forensic institutions to give narcotic drugs and psychotropic substances and precursors thereof to authorities for research and development activities. The Bill on Amendments to the Communicable Diseases Prevention and Control Act and Other Acts (74 SE), initiated by the Government, which will amend the provisions concerning the imposition of involuntary treatment on persons suffering from extremely dangerous communicable disease. It also specifies the obligation of the family physician to ensure the availability of immunisation to the patients on his or her practice list. The Bill will reduce the obligation of employers to organise and finance medical examination of employees in areas of activity with a major risk of spreading infection. According to the Bill, regular medical examination of employees in regard to communicable diseases will no longer be required in the future. The Bill on Amendments to the Medical Devices Act (63 SE), initiated by the Government, which will bring the Medical Devices Act into conformity with European Union law. For that, the requirements for affixing the marking of conformity to medical devices and the requirements for notifying the supervisory authority will be specified. The Bill on Amendments to the Hunting Act (77 SE), initiated by the Government, the aim of which is more efficient hunting in order to quickly reduce the number of wild boar and to prevent the spread of African swine fever. According to the Bill, it will be permitted to hunt wild boar from all-terrain vehicles and other power-driven vehicles with a stopped engine, with the help of an artificial light source, and it will be permitted to catch wild boar with trap fences. Analogously to killing animals that show signs of rabies, under the Bill, it will be permitted to kill without a hunting permit also wild boar that show obvious signs of swine fever. The user of a hunting district will be required to issue free of charge a hunting permit for hunting also wild boar, in addition to a hunting permit for hunting small game, to a land owner or a person designated by the land owner for hunting on his or her immovable. The Bill on Amendments to the Waste Act and Other Associated Acts (75 SE), initiated by the Government, which amends the provisions on hazardous waste and hazardous properties of waste in the Waste Act in connection with the amended European Union law. The provision delegating authority is also prepared under which a Regulation will be established to specify the provisions on the classification of waste. The section concerning hazardous properties of waste in the current Waste Act will be repealed. A total of six Bills were at the first reading. 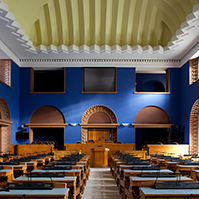 The Riigikogu rejected at the first reading the Bill on Amendments to the Income Tax Act and the Act on Amendments to the Social Tax Act, the Income Tax Act and Other Acts (78 SE), submitted by the Estonian Free Party Faction, the deliberation of which was suspended due to the end of working hours yesterday. 51 members of the Riigikogu voted in favour of the rejection and 35 voted against. The proposal of the Free Party was to establish a fairer tax system that would boost the economic situation of the low-waged and increase the incomes of salary receivers by a total of approximately 85%. Andres Herkel, Siim Kiisler and Andres Anvelt took the floor during the debate. 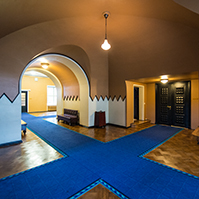 The Riigikogu rejected the Bill on Amendments to the Status of Members of the Riigikogu Act (90 SE), submitted by the Estonian Conservative People’s Party Faction, that had been intended to end reimbursement of work-related expenses to members of the Riigikogu. 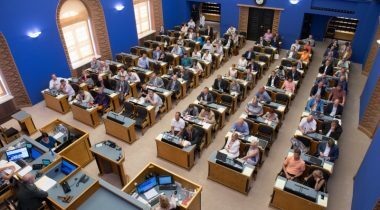 53 members of the Riigikogu voted in favour of the rejection of the Bill and 15 voted against. Mart Helme and Jüri Adams took the floor during the debate. The Bill on Amendments to the Accounting Act and Amendments to Other Associated Acts (65 SE), initiated by the Government, which updates the legal framework of accountancy and brings it into conformity with European Union law. As major issues, the Bill discusses simplification of the annual report of micro and small undertakings, and the criteria for defining micro and small undertakings and medium-sized and large undertakings. The deadline for submission of motions to amend the Bill is 19 November. The Bill on Amendments to the State Budget for 2015 Act (120 SE), initiated by the Government, which introduces amendments to this year’s budget. With the amendments, the expenditure is adjusted in connection with changed needs. The total volume of the state budget revenue and expenditure will not change as a result of that but the current year’s expenditure of ministries and other authorities will be specified. The Bill contains 84 motions to amend. The deadline for submission of motions to amend the Bill is 16 November. The Bill on Amendments to the Family Law Act and Amendments to Other Associated Acts (112 SE), initiated by the Government, which will ensure smooth implementation of the Rome III Regulation. The Regulation applies if a divorce has connection with the law of more than one country. Application of the Regulation gives spouses the possibility to agree at a notary any time which country’s law must be applied to the prerequisites of their divorce. The deadline for submission of motions to amend the Bill is 25 November. The Bill on Amendments to the Law of Succession Act and Amendments to Other Associated Acts (113 SE), initiated by the Government, which will ensure smooth implementation of the EU Regulation on succession matters. The Regulation establishes at European Union level harmonised procedural rules for the resolution of international succession matters.